Can form a small shrub. Fast growing and does well in all soils. Great with Erysimum Bowles's Mauve. Great in tubs but you will need a large one! A large grower, for those with less space and want a similar plant I suggest A. 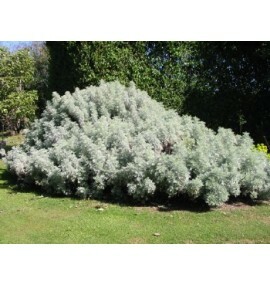 'Silver Fairy' which looks the same but smaller growing.